Key of our financial success depends on selection of right investment option at right time. Right investment options safeguards your money & provide capital appreciation. Survey reveals that most of the people invest money either to save tax or for retirement. Most common investment options that people opt are Mutual funds, Equity, FD & Gold. 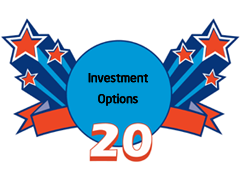 Apart from this common investment options we have multiple other investment options. In this article I will discuss about 20 different Investment options available for India. Fix Deposit is common and most popular investment option in India. This option is suitable for people who are usually conservative and don’t want to take risk. Fixed Deposit (FD) is a financial instrument where an investment is made for a fixed period of time resulting in fix rate of interest in return. Bank Fix deposit is investment option where you invest money to bank and bank gives fix return. The tenure can vary from 7, 15, 30, 45 days to 3, 6 months, 1 year, 1.5 years and 5 years. Interest rate will vary from bank to bank. One important point to remember here is income earned from interest is taxable. If you invest money and save tax under 80 C this investment option will help you. Investment tenure under this option is fixed – 5 years. Interest rate again varies from bank to bank. This is another good investment option but riskier than Bank Fix Deposit. This are kind of deposit which are made with a company/Financial Institutions/Non Banking Financial Institutions (NBFC). The minimum deposit amount and rate of interest will vary from company to company. Company Fix Deposit provides higher returns compare to Bank Fix Deposit. Recurring deposit is another good investment option popular in salaried people who can save small amount of money every month. Recurring Deposit (RD) is offered mostly by all banks. In this option you can put fixed amount every month in to RD account and earn interest nearly applicable to FD. PPF (Public Provident Fund) is long term investment option, usually taken for retirement purpose. This investment option provides slow steady and secure return. For PPF investment you have to open account with bank. PPF account tenure is for 15 years and can be extended for 5 year. Interest rate is nearly equivalent to FD but varies year on year currently it is 8.7% (effective from 1st April, 2013). Minimum investment amount in PPF is 500 Rs/- per year & maximum is 70000 Rs/- per year. Amount invested in PPF can be claimed as tax saving. Good part about PPF is interest earned from PPF is tax free. SCSS referred as Senior citizen saving scheme as name suggest this investment option is only for senior. Who has attained age of 60 years or above are eligible for SCSS. The individual may open one or more account in the multiple of INR.1000/-, subject to a maximum limit of INR.15 lakh. Tenure of investment is fixed for 5 year. Interest rate is fixed. This interest can be credited in account automatically. MIS referred as Monthly investment scheme, it is one of the safest investment options. MIS account can be opened by post office. MIS is best suitable option for senior citizen or retired person or individual who wants to ensure monthly return. Current interest rate of MIS is 8.4% and tenure is 5 year. National saving certificate or NSC was one of the most popular investment options in olden days. As amount of return offer by this product in past was very good. People use to say that if you want to double your money in few year just invest in NSC. But now picture has change. NSC is now offering only 8% interest compounded half-yearly. Due the compounding, the effective rate per annum works out to 8.16%. It is a cumulative scheme with a term of six years. Investment under this scheme is exempted under 80c. Interest income under this scheme is taxable but not deducted at source. This is very popular & interesting investment options. As investment in equity brings very high return coupled with maximum risk. So it is high risk, high return game. This investment option is best suited for aggressive investor. Stock selection and timing are most important creation for investment. Stock market investment requires extreme care and enough knowledge. Stock investment is also controlled by emotion you should be very careful while doing stock market investment. difference between the highest price and lowest price for the day). If you don’t understand stock market functions it is better to stay away from stock market. Mutual fund is investment option where professionally managed organization collects money from individual for investment in stock market, debenture & other securities. This investment option is best suited for moderate investor as it carried moderate risk & moderate return. Mutual funds are managed by fund manager who usually has enough experience in stock market. Fund manager take decision of purchasing or selling stocks or instrument based on market behavior. Profit and loss are distributed to investor after deducting cost. If you want to know more about how to select good mutual fund click here. ELSS is referred as Equity link saving scheme. ELSS is type of mutual fund only. ELSS is used as tax saving instrument as investment is ELSS is exempted from Income tax under 80c. By doing Investment in ELSS you have dual advantage you can enjoy capital appreciation and also enjoy tax saving. Remember investment in ELSS has a lock in period of 3 years from the date of investment. Tax-free bonds are bonds are issued by entities such as the National Highway Authority of India (NHAI) and Power Finance Corporation (PFC) as they are important to the government in terms of building the country’s infrastructure. Money invested in tax free bonds will be locked for 15 years. As per me if you surplus money you can think of this investment option. This option can give absolute return of 8.2%-8.3% every year for 15 years. NPS (National pension scheme) is often ignored investment option by many. NPS is a defined contribution based pension system launched by Government of India. NPS is one of the innovative investment options which provide benefit of both equity and debt. This scheme provide flexibility to investor, Here Investor can select how much percentage of corpus goes to equity and debt. If Investor does not carry competency to decide about investment percentages they may opt for default option under which investment allocation is decided based on age. Up to 35 year of age equity and debt exposure is 50% after that every 5 year equity investment reduces by 10%. Minimum investment under this scheme is 500 Rs/- per month. If you exit this scheme before 60 years you have to invest 80% of accumulated saving to purchase a life annuity from IRDA regulate life insurer. The remaining 20% may be withdrawn as lump sum. If you exit this scheme after 60 years you have to invest 40% of accumulated saving to purchase life annuity. Gold is most popular Investment option in India. Gold is considered as a safe haven against all national, political and cultural crises. Gold Investment should not exceed 20% of your portfolio. Gold has produced magnificent return in past and we expect gold to continue in appreciation. It is generally observed that if economy is not stable Gold price appreciates more. Investment in gold can be done in two form (1) Physical Gold – Jewelry, Coin or Bar (2) Non Physical Gold – Gold ETF. Gold ETF is Investment Option that give an opportunity to the investors to invest in gold without taking the physical custody of the yellow metal. Gold ETF gives nearly equal return as that of gold. Gold ETF can be purchased from market in small amount in lot of 1 costing 1gm of gold. Gold ETF gives multiple advantages over physical gold. Gold ETF are lower in cost easy to buy and sell. You need not to pay any making charge or handling charges. Silver is poor man’s gold & another investment option. Investors usually invest in gold but very few investors still believe in Silver and they invest or trade in Silver. Price of silver is driven by speculation and supply and demand. We have observed silver price is significantly volatile in past this may be due to demand fluctuation. Investment in silver can be made in the form of jewelry or silver coins. Real estate is investment option for rich as investment in real estate requires lot of money. Real Estate refers to investment in immovable properties which includes land, buildings, flats etc. Investment in real estate involves the purchase of real estate and selling it for a profit. Investment in real estate is for high risk high return investor. Investor should consider risk appetite, investment amount & future prospects before doing real estate investment. Bond as investment option is agreement between a borrower and a lender. The borrowers include public financial institutions and corporations. The lender is the bond fund, or an investor when an individual buys a bond. In return for the loan, the issuer of the bond agrees to pay a specified rate of interest over a specified period of time. Debenture is debt security investment option. Debenture is issued cooperates that is not secured by assets. Life insurance is not investment product but ULIP (Unit linked Investment plan) is investment option with insurance. It is a single contract comprising of insurance cover with an investment benefit. The insurance company allots units to the ULIP investors and the net asset value (NAV) is calculated and declared on a daily basis. ULIP is highly adopted by many investors as many investors do not understand the terms or jargon mentioned in the life insurance contract of ULIP & they end up making loss by purchasing ULIP. Life insurance is different product you should never club it with investment. FMP or Fix Maturity Plan is investment option similar to fixed deposit in terms of tenure but varies in terms of assured returns. This is a kind of mutual fund scheme offered by mutual fund companies providing an indication of the returns an investor can expect but do not give assured returns. This are closed ended schemes which means that an investor can only enter them when they are launched and exit them when their pre-stated term is over. One can exit them earlier, but generally after paying an exit load that is high enough. Rajiv Gandhi Equity Saving Scheme is relatively new investment option. Investment in RGESS brings tax saving for the assessee whose income is less than 12 lakh rupees. This scheme is only for first time retail investor in equity market. Maximum Investment permissible under the Scheme is Rs. 50,000 and the investor would get a 50% deduction of the amount invested from the taxable income for that year. Antique is less popular and not so adopted investment option. Investing in antique is quite difficult for an average investor. Antiques are extremely vulnerable to fluctuations in public demand, so they are considered high-risk, speculative investments. Investment in antique gives dual benefit; it gives profit as well as enjoyment of beauty it carries. What is goal behind Investment? What is my understanding about these investment options? Remember do not invest in investment product which you don’t understand. (When in doubt find out). Never park your all money in on one investment product. Diversify your investment across various investment options. So which investment option you select for investment and why do post your comments!